Color and movement are the first things you notice about Kathleen Kemly’s paintings. Her lush landscapes and figures convey an immediacy of place and time. Kemly uses painted paper as brushstrokes, a technique that allows for surprising juxtapositions of color and texture in her acrylic paintings. An avid hiker and observer of the world, she is inspired by a reverence for nature and a fascination with people and the connection between the two. Kemly’s sense of color created by light is influenced by Pierre Bonnard. 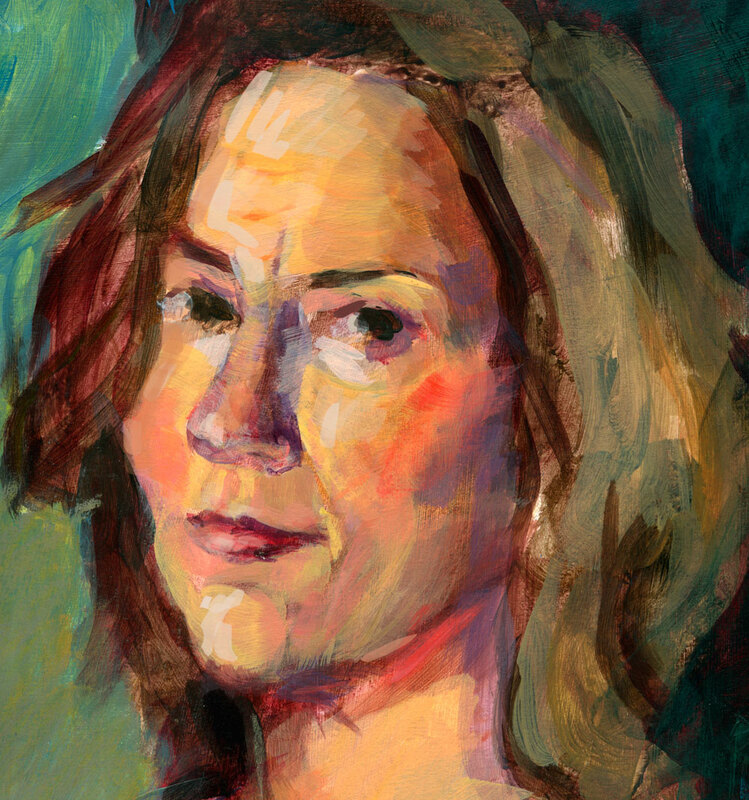 Using bold forms with color as the unifier derives from her study of the works of Richard Deibenkorn. David Hockney provides inspiration for new ways of looking at the landscape..
Kathleen Kemly received her BFA in illustration from Parsons School of Design, NYC; she has continued her study of painting at Gage Academy, Seattle. She has illustrated many award winning children’s books, most recently Molly, By Golly! by Dianne Ochiltree.